Check Out This Pixar-Style Wind Waker Fan Art! 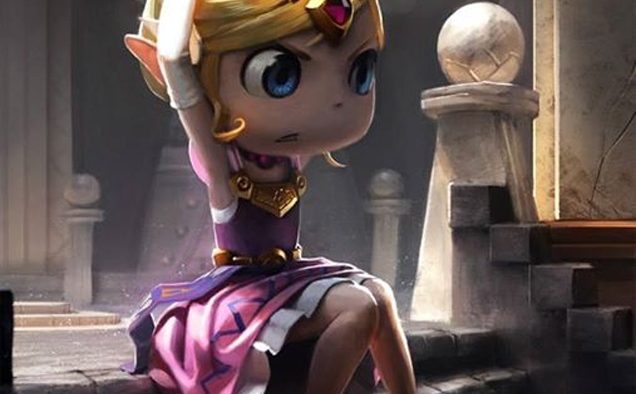 Brazilian illustrator, Cássio Yoshiyaki Shibukawa, has wowed the online art community with his CGI-style renditions of Princess Zelda (Tetra), and Link. Obviously The Legend of Zelda: The Wind Waker inspired, these two pieces of art are absolutely beautiful and capture the atmosphere of The Wind Waker perfectly, being almost Dreamworks or Pixar-like in appearance. What I like most about these are the facial expressions. I feel as though they capture the personalities of both Link and Zelda perfectly – Link‘s curiosity, and Tetra‘s frustration at finding out that she is a descendant of Princess Zelda, who completely contrasts with her own tomboyish personality. You can check out all of Yoshiyaki’s work on his ArtStation, DeviantArt, and Facebook pages. Check out the gallery below for a better view of these beautiful works of art.